It’s always useful to be able to see speed limits at a glance when you’re driving — especially when you’re using unfamiliar roads. It’s even better when you get a warning for upcoming speed traps. Now, Google Maps can provide you with both. Users across the U.S., the U.K., and other countries are discovering that the world’s biggest navigation app just got two big features that were sorely missed. Users in several U.S. states reported to Android Police that they were seeing speed limits and trap warnings inside the Maps app, and Mashable later confirmed the rollout with Google. 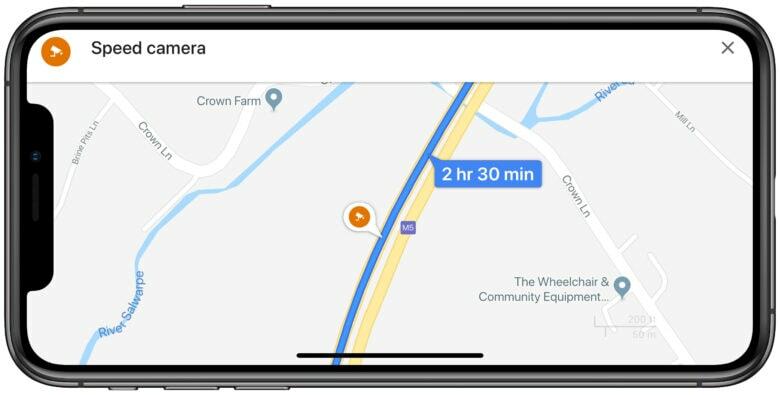 Speed limits are displayed in the bottom corner of the app while you’re driving, while popups and audible warnings will notify you when you’re approaching a speed trap. You will also see camera icons along your route that show speed trap locations. Speed limits will be displayed for Maps users in the U.S., the U.K., and Denmark, while trap warnings are available in the U.S., the U.K., Australia, Russia, Brazil, Mexico, Canada, India, and Indonesia. It’s pretty surprising that it took so long for Google to bring these features to Maps — especially when you consider that they were a staple of Waze, the navigation app Google acquired for around $1 billion way back in 2013. The update means that those who still relied on a dedicated satellite navigation system for speed limits and trap warnings can finally switch to using their smartphone instead.